Gar's application development services helps you addressing evolving business, technology challenge, designing and building applications tailored to meet your business requirements. We have a track record of delivering high-quality, flexible applications that are easy to maintain; modular to facilitate enhancements, reliable, secure and easy to deploy. 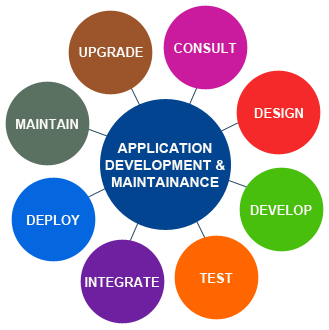 Gar's application development team work on many technologies which includes E-Commerce, SOA, B.I., Application Maintenance and dataware housing. We provide all solutions under one roof. We have highly skilled people who can work efficiently on these technologies. We integrate Technology, processes and experience to deliver superior IT Solution that enables the implementation of your business strategies efficiently and cost-effectively. Also our offshore development program allows you to offload either all or a portion of the project development to Gars's.